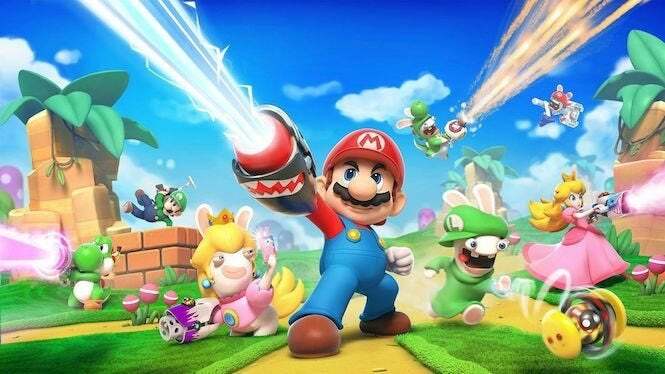 When it released last year, Mario + Rabbids: Kingdom Battle did very well for both Ubisoft and Nintendo, proving that the two companies could work on a highly effective crossover title. But now, as we wait for Starlink: Battle For Atlas to arrive next week (and with it, StarFox McCloud and his crew), a new poll suggests that there could be more epic crossovers to come. A Twitter user by the name of Brybry has posted a tweet showing off an interesting poll that was sent by the company, asking certain fans which Nintendo characters they were interested in. While this is by no means a confirmation for a new project (we probably wouldn’t even hear anything about it until E3 2019 at the very earliest), it does leave potential for a follow-up to Kingdom Battle -- or maybe even something new. You can see Brybry’s tweet below, which features a number of suggested characters. These include Daisy, the Koopalings, Bowser Jr., Birdy, Kamek, Bowser, Luigi, Harmonie (aka Rosalina), Peach, Waluigi (YES! ), Mario, Yoshi and Wario, not in any particular order. Again, nothing’s been confirmed yet, but this could indicate that Ubisoft will continue its partnership with Nintendo on future projects. And, honestly, we’re already buzzing with ideas of what could come from it. For instance, our own Matthew Hayes suggested that a “heartwarming adventure RPG starring Shy Guy and Boo” would hit the spot. For that matter, Tanner Dedmon noted that “Paper Wario with Waluigi” and some possible Rabbids would do the trick. Me? I think a Rayman/Luigi/Waluigi crossover would probably be amazing. Imagine a Rayman Legends sequel with Nintendo characters and their potential universes merging with one another. Then Donkey Kong shows up and makes friends with Globox and, well, it’d just get crazier from there. Considering how well Kingdom Battle worked -- and how amazing Starlink looks -- the sky’s the limit on crossover ideas. We’ll see what the company has in mind over the next few months.